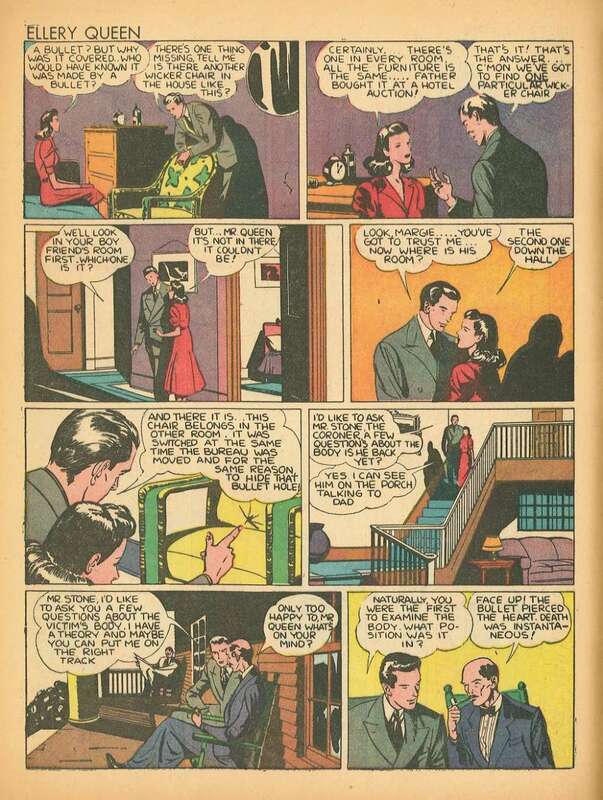 There were several reasons the cousins did not publish any prose fiction in 1940 and 1941. 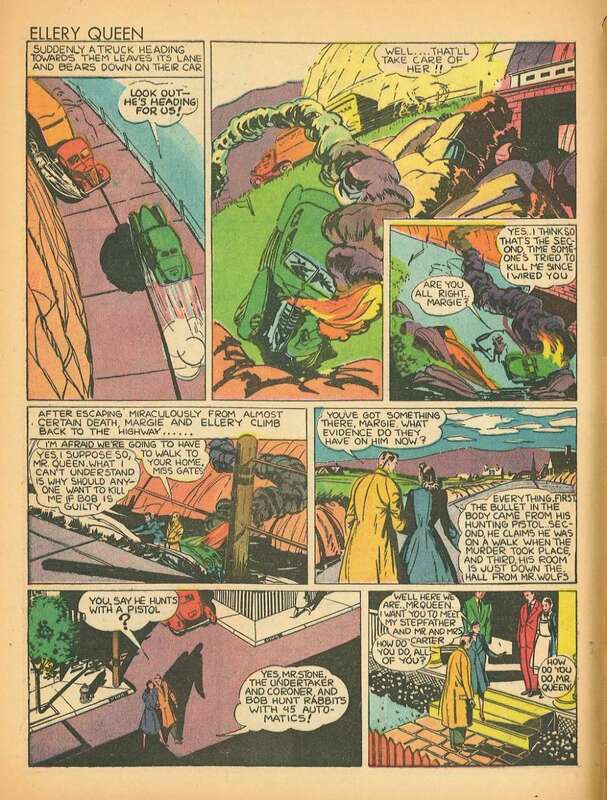 Foremost is that they actually did: Their 1940 book was too similar, they felt, to a recently published Agatha Christie novel, and their next book, Calamity Town, was finished in 1941, but they withheld publication for a year. 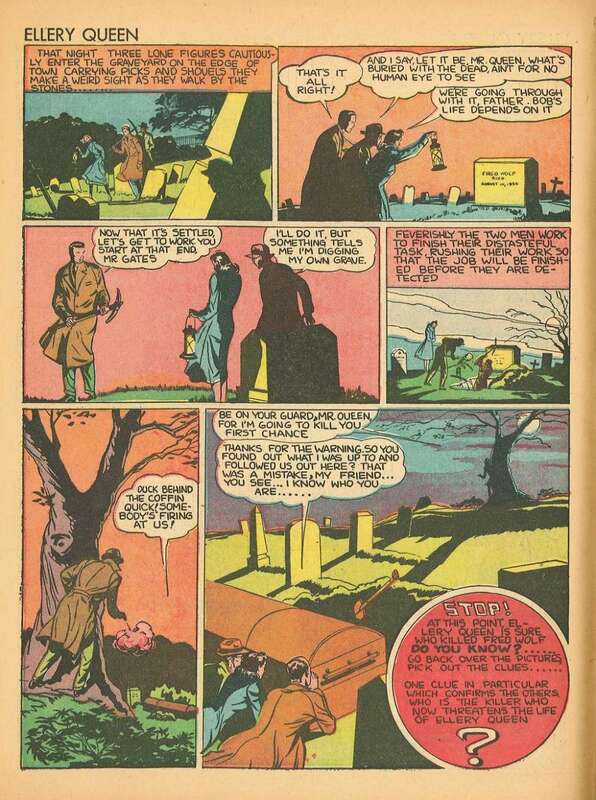 Also, in November, 1940, Frederic Dannay was in a serious automobile accident, and unable to keep up his usual pace for a few weeks. 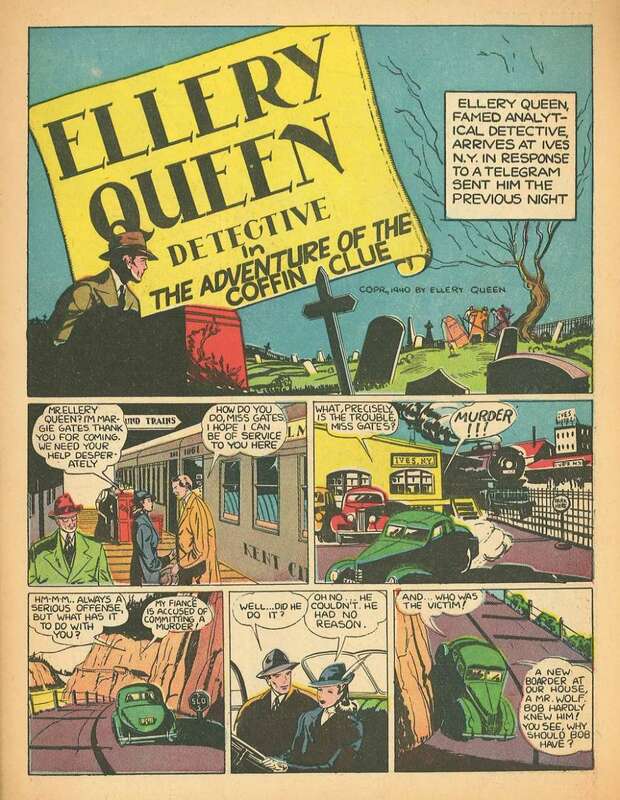 However, this was the period when the character Ellery Queen enjoyed a huge amount of popular success on the radio, and the franchise moved into new areas. 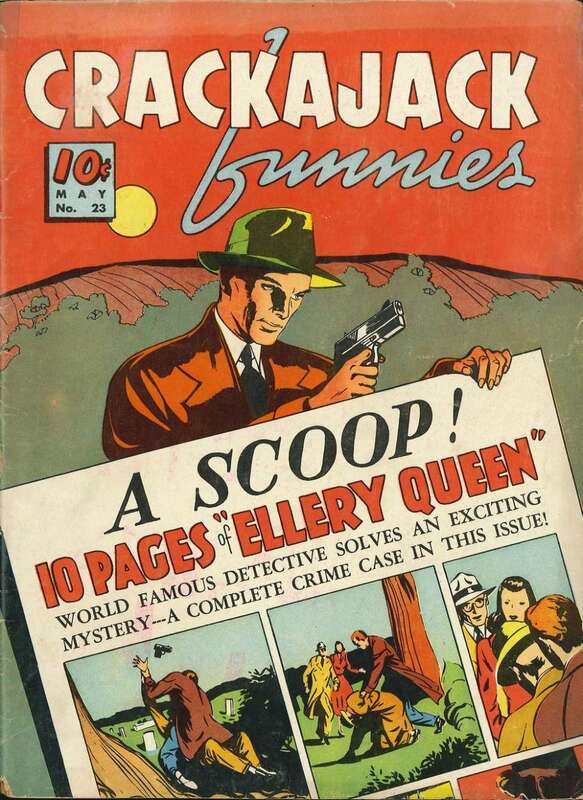 A new film series was begun in 1940 ,Whitman’s Big Little Book series for children published an adaptation of the radio episode, “The Last Man Club,” and the anthology comic book title Crackajack Funnies began publishing monthly ten-page stories featuring Ellery Queen with issue #23 (May, 1940). 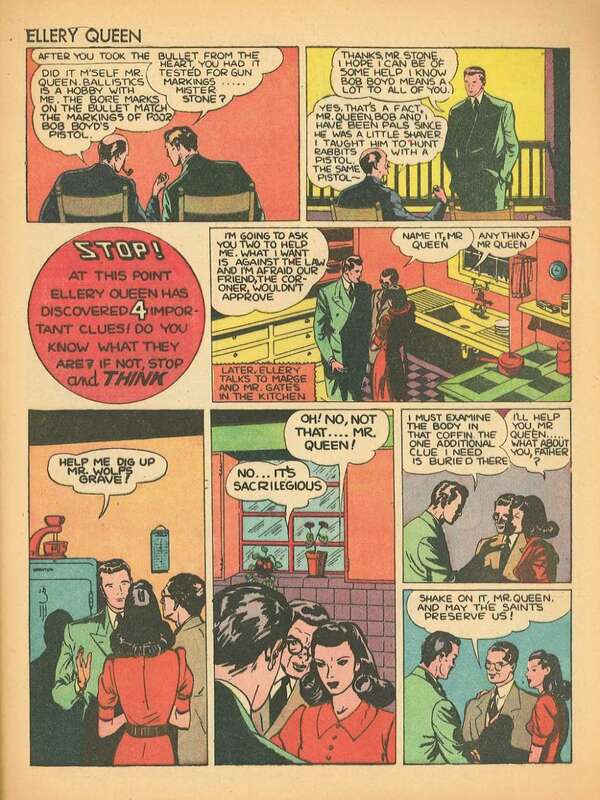 Legendary actress Anna May Wong had a featured role in The Penthouse Mystery. 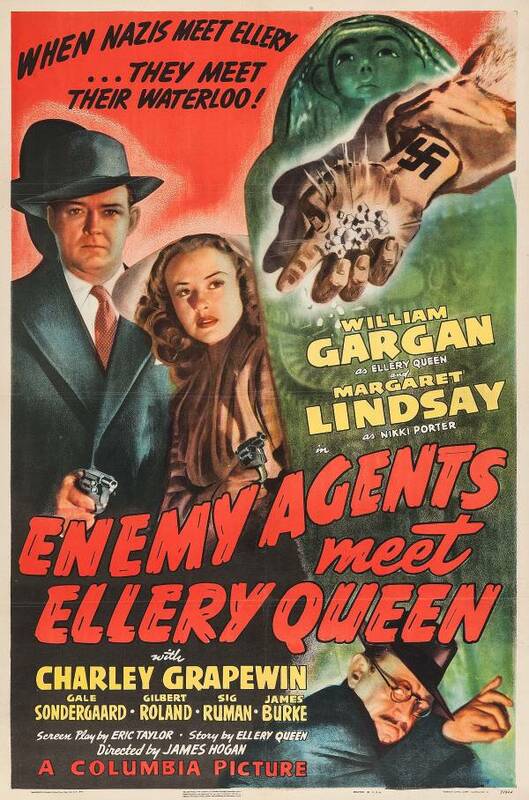 Charles Lane portrayed Doc Prouty in Ellery Queen and the Perfect Crime and A Close Call for Ellery Queen. All of these movies can be viewed, with a “free” account, here. Watch if you must. 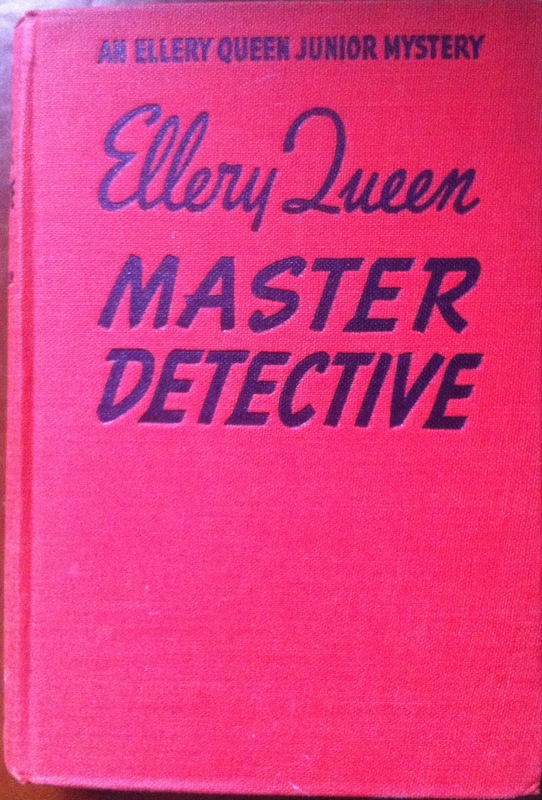 Also, novelizations of three movies were published: Ellery Queen, Master Detective (1941), The Penthouse Mystery (1941), and The Perfect Crime (1942). 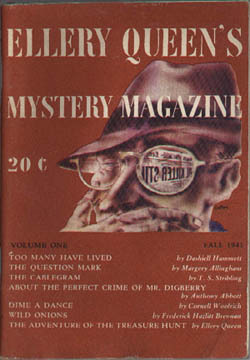 If this wasn’t enough, Ellery Queen’s Mystery Magazine, originally a quarterly, later a monthly, publication began in late 1941, with Frederic Dannay as editor in chief, as position he would hold until 1982. 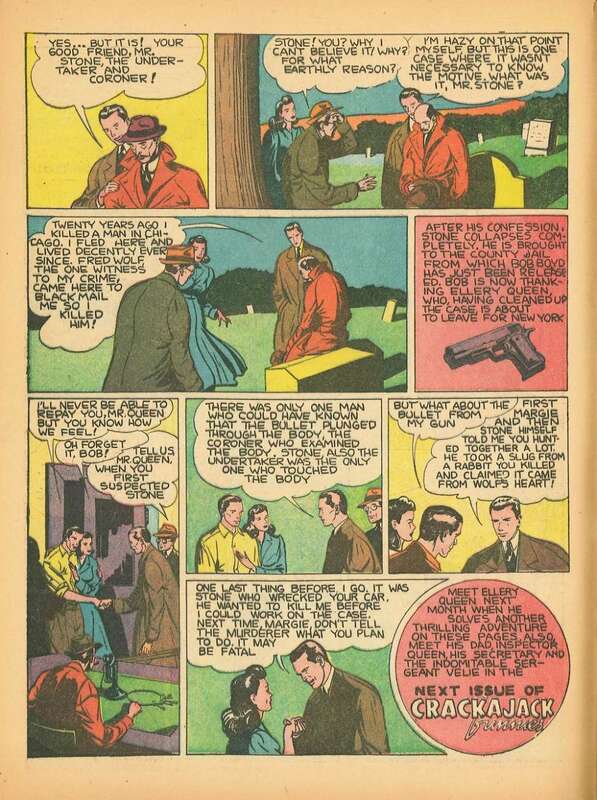 The magazine remains in print. 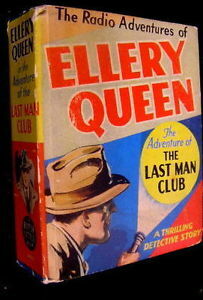 Mean while, Whitman’s long-running Big Little Books series published two Ellery Queen stories. 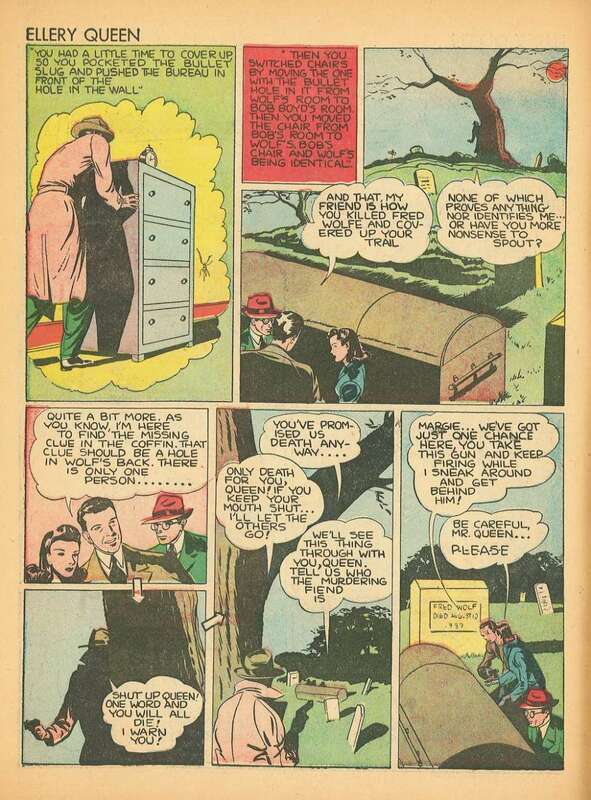 The first was the adaptation of the radio show, “The Last Man Club,” in 1940, followed by “The Murdered Millionaire” in1942. 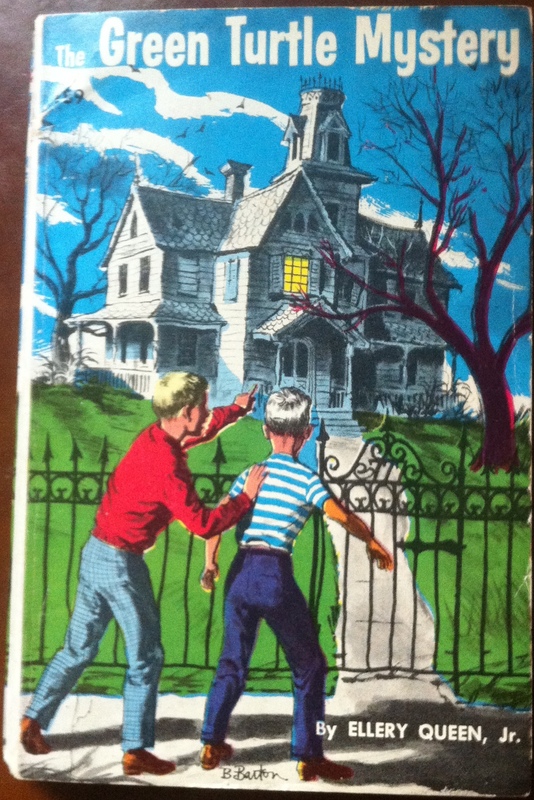 Both, as a all Big Little Books were, had man y illustrations to go with the horrid text. 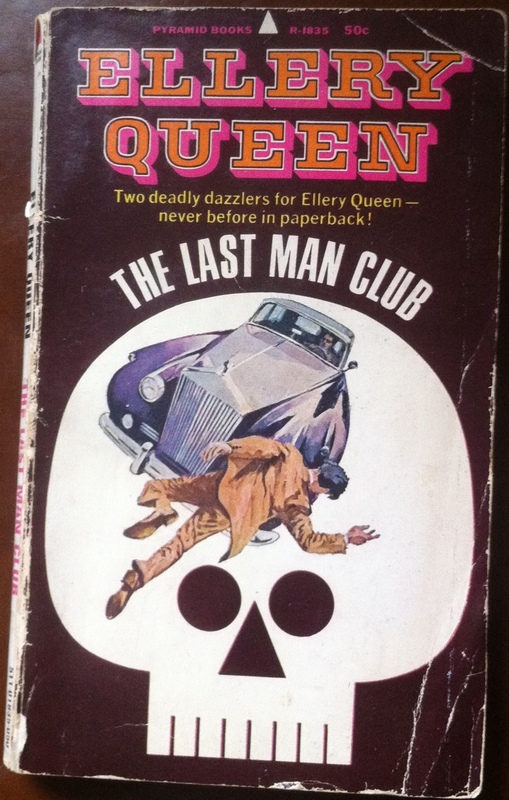 In 1968, Pyramid Books reprinted the horrid texts, without the illustrations, as The Last Man Club. 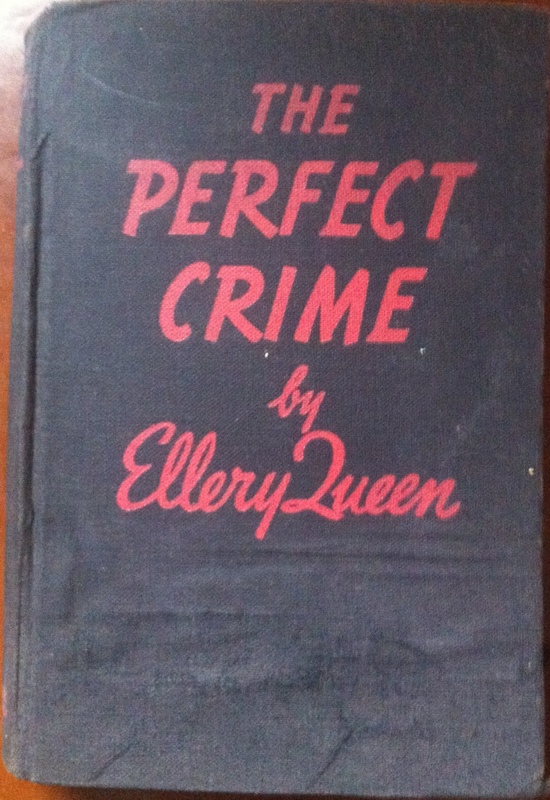 They also reprinted the movie novelizations The Perfect Crime and The Penthouse Mystery. 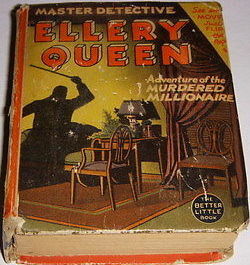 In 1941, the cousins approved of the publication of a series of books written by “Ellery Queen, Junior.” Three authors (Samuel Duff McCoy, Frank Belknap Long, and Ja mes Holding) would write a total of eleven books in the series between 1941 and 1966. 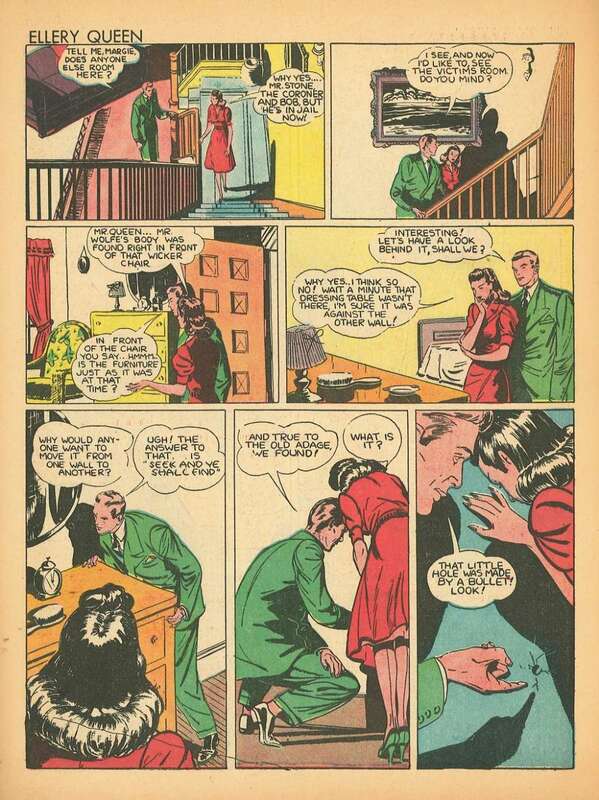 The protagonist was Djuna, the Queen’s “houseboy” from the early novels, who now solved crimes with his friend, Ben Franklin, Jr. 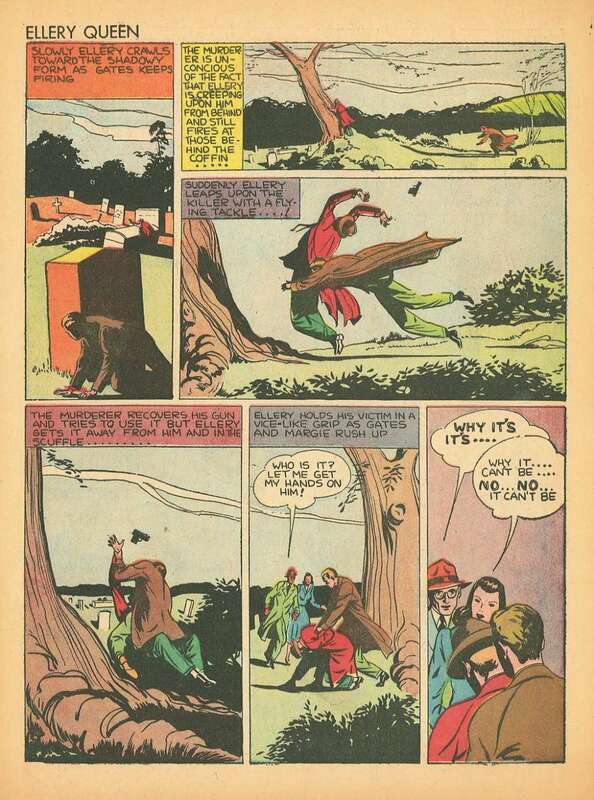 The titles mostly followed a convention of The [color] [animal] Mystery, with two exceptions in the early 1960s. 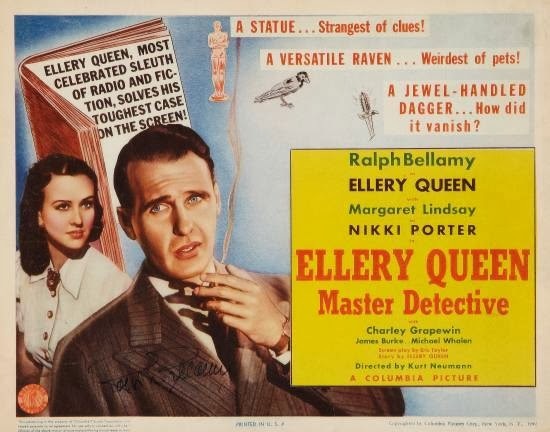 The first was The Black Dog Mystery (1941), which was followed by The Golden Eagle Mystery (1942), The Green Turtle Mystery (1944), The Red Chipmunk Mystery (1946), and so on. 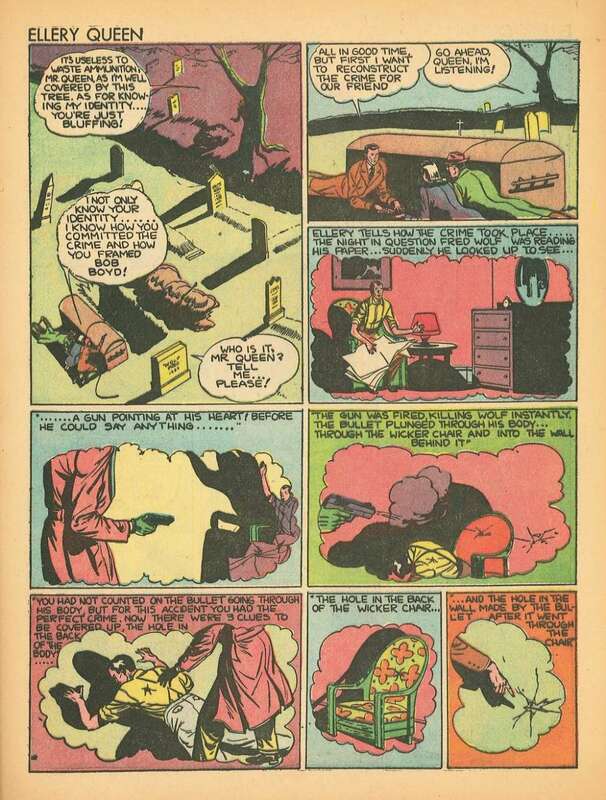 One interesting piece of trivia: for at least the Green Turtle Mystery, the illustrations were by Jerry Robinson, perhaps most famous for creating the world’s first comic book super-villain, The Joker. 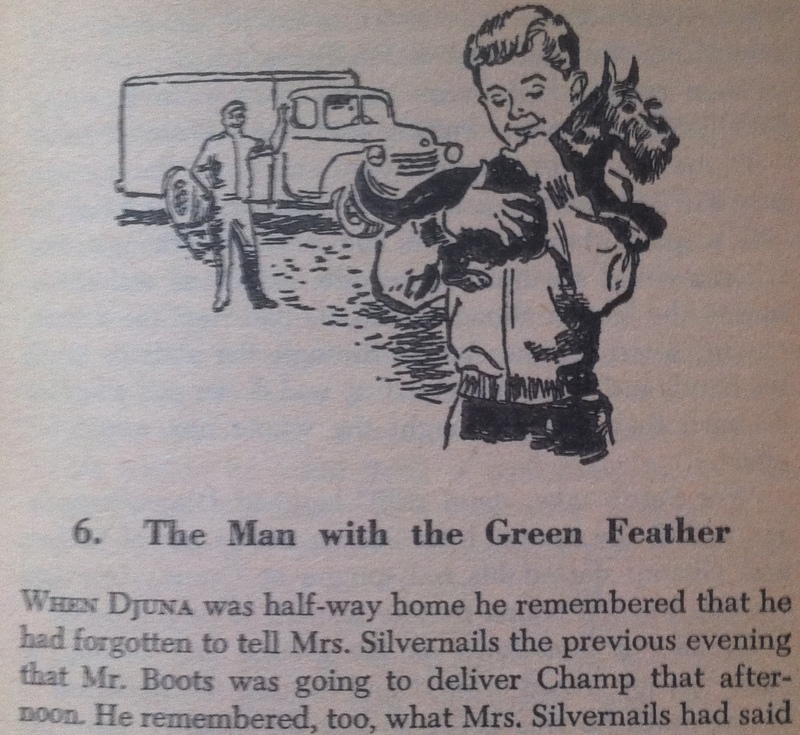 Jerry Robinson illustration for The Green Turtle Mystery, 1944.